If a museum hosts a tacky holiday party, it should be aware that it could bring in the type of people that will vandalize and steal historic art. Case in point: Authorities say an attendee at an ugly sweater party at The Franklin Institute snuck into the museum’s Terracotta Army exhibit last December, cracked off a statue’s thumb, and went home with the illicit party favor. The exhibit is on loan to the Philadelphia museum from China until March 4th. 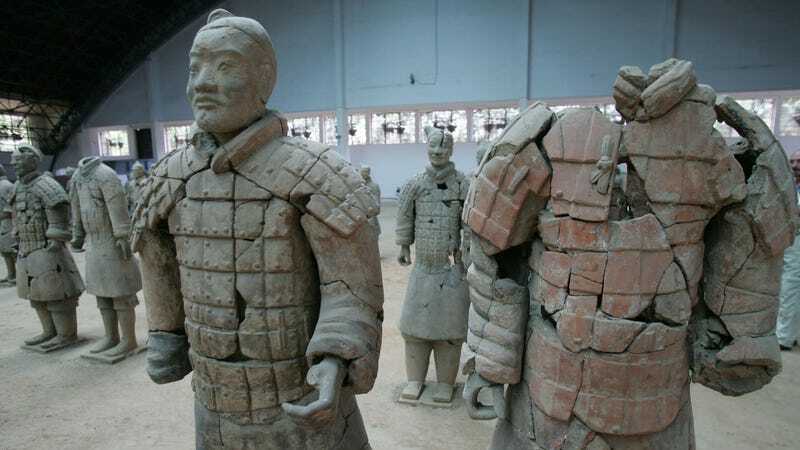 It contains 10 sculptures from the fleet of warriors that were buried with China’s first emperor Qin Shihuangdi around 209 BC, meant to serve as security during the ruler’s afterlife. The museum security protecting these statutes was about as effective as a battalion of clay soldiers. 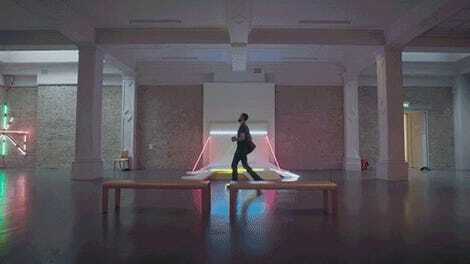 The Courier-Post reports that a door to the exhibit was left unlocked. The only thing keeping the thief from millions of dollars worth of precious art was a black rope held up by two stanchions. “As a result of this incident, we have thoroughly reviewed our security protocol and procedures and have taken appropriate action where needed,” The Franklin Institute said in a public statement, claiming “standard closing procedures were not followed” by the museum’s security contractor. With the help of credit card information, authorities determined that five friends joined Rohana to the event. One friend allegedly told investigators that Rohana mentioned the finger on the ride back to Deleware. Another said Rohana shared a photo of the finger on Snapchat. When an FBI special agent interviewed Rohana last month, the agent asked “if he had anything in his possession that he wanted to turn over to the FBI,” presumably using the tone of a disappointed junior high principal. The affidavit states that Rohana then went to his bedroom in his home and removed the finger from a desk drawer.